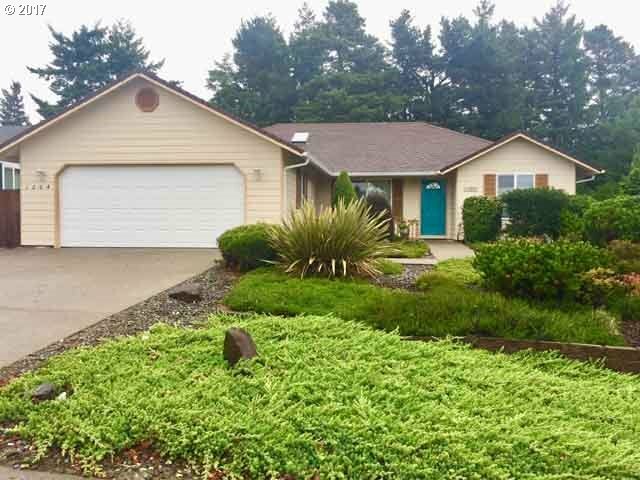 Immaculate & move-in ready, this home in Coastal Highlands is the one to see. Walk into spacious vaulted living area w/skylights & ceiling fan. Kitchen is totally upgraded w/ silestone counters, cabinets & stainless appliances. Bathrooms have silestone counters & walk-in showers. Landscaping is perfect & virtually maintenance free. The gorgeous deck off the back is private & backs to open space. The best in town living for the price!